1 Pair (two pieces) of coloured contact lenses "Blind White" with case - perfect for Halloween or Carnival to fit your costume. The lenses are usable up to 12 months if taken care of properly. To get more information take a look at the manual that comes with the set. Have fun with our contact lenses. LUBRICANT / REDNESS. RELIEVES REDNESS. JUST GOT THEM IN EXP ( 2020 ). SAY WHAT'S THE CONTENT ,WILL MARK IT. OF SOOTHING COMFORT. UP TO 12 HOURS. LUMIFY is a unique, FDA approved formulation, that was developed by doctors and is clinically proven to reduce redness in 1 minute and last up to 8 hours. LUMIFY works differently to selectively target redness with a lower risk of potential side effects. 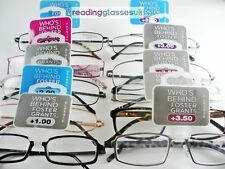 All our lenses are Thin and light with a anti Reflective coating ( This coating alone would cost upwards of £30.00 to have added to normal prescription glasses ) to reduce glare and UV rays produced by monitors TV and fluorescent lighting this is achieved producing only a very slight tint ( unlike the older highly tinted orange lenses). LUBRICANT / REDNESS. RELIEVES REDNESS. JUST GOT THEM IN EXP : /2020. OF SOOTHING COMFORT. UP TO 12 HOURS. Our offices are open. Small size case hard case with magnetic closure. Length: 6.5". Width: 2.25". Marios Kyriazis, M.D. has written a booklet on the subject. They are safe to be used by most people, including those with cataracts. At Onogo, we strive to move with the world and all of its advances. Ray Ban Black Sunglasses Case. Fits Nearly all types of Ray Bans. Glasses Cloth & Box Included. Length 15.5cm. Marios Kyriazis, M.D. has written a booklet on the subject. They are safe to be used by most people, including those with cataracts. Kitchen Appliance. Kitchen Appliances. 100% Authentic & genuine products. Grey Smoke with plano lenses - Ready for your RX lenses part # OX8041-0256 56mm. This Neoprene Band Strap is ideal for holding Glasses in place whilst involved in Sporting activities. Strong & Stretchy. Made from Neoprene. Easy to use simply push and twist glasses arm ends until secure. Ray Ban Black Hard Sunglasses Case. Fits Nearly all types of Ray Ban Glasses. Glasses Cloth/Wiper & Box Included. Length 15cm. Up For Sale New RayBan Wayfarer Folding magnetic closure Black case. with cleaning cloth and book. PILESTONE has taken existing technology and worked with leading experts to develop new and much improved results for the whole colour blind community. Results vary depending on an individual’s type and extent of colour vision deficiency. Fitting models such asOX8027, OX8029, OX8030, OX8031, OX8033, OX8040, OX8044, OX8067, OX8118, OX8090, OX3127, OX3220, OX3221 etc. 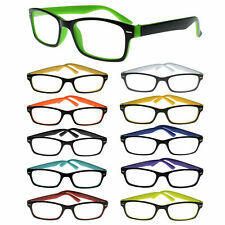 Also Fit Oakley Crosslink Pitch OX8037 OX8041 OX8111. Color: Satin Black with Black Ear Socks. 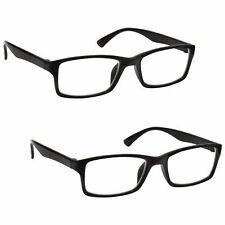 Fine Plastic Eyeglasses, Light But Strong. 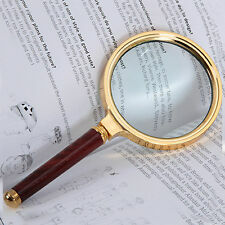 Clear Lens, unlike many that have no lens in at all. 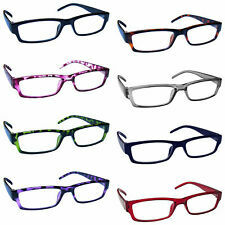 Fashion Style Computer Glasses. Anti UV400, Anti blue-ray, Antiglare, Anti-reflective, Antifatigue. Great For Fancy Dress Party, Fashion Accessory or just looking cool as! Ray Ban Sunglasses Brown Case. Fits Nearly all types of Ray Bans. Glasses Cloth & Box Included. Length 15.5cm. CONTATTATECI PER OGNI EVENTUALE PROBLEMA O PERPLESSITA’.